Tigelle is an Italian flat bread which originates from the Emilia-Romagna region of Italy. Historically, this bread was made by placing circles of the dough between round clay discs called tigelle, and stacked to bake in an open fire, hence the name. 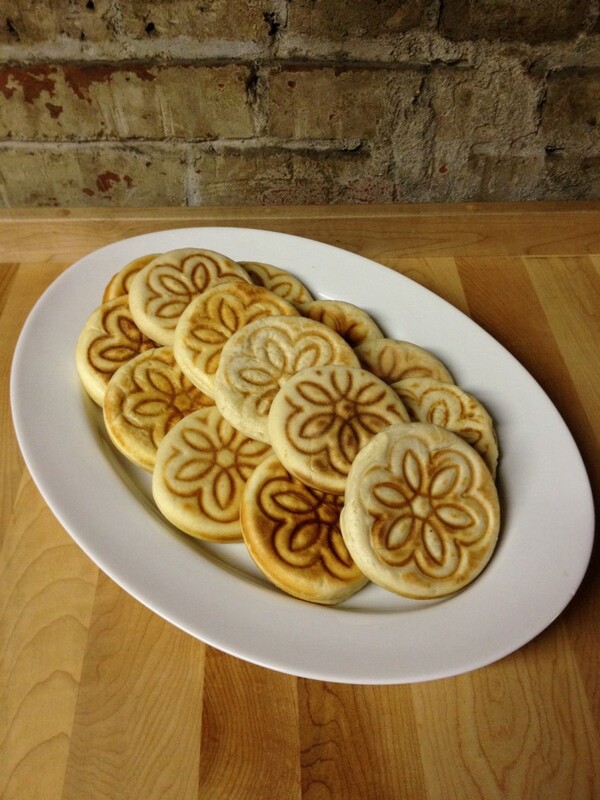 As they baked, the bas relief flower carving in the tile would imprint the bread. Today, they are more commonly made on the stovetop. Made in Bologna, Italy, the capital of Emilia-Romagna Region, the Enrico Pruni “Due Torri” Tigelle iron is designed to be used on a gas stove top. The inside cavities are embossed with a flower design to replicate the image of the old clay tiles. It resembles the “fiore di vita”, the flower of life symbol which is an ancient design found in many cultures which represents good luck and fertility. Tigelle are easy to make, and best eaten warm, sliced in half and traditionally filled with ham, prosciutto and cheese, or with sweet jam for a morning treat. Last week, we compiled a list of our favorite holiday gift items under $50. This week, we asked our staff to choose a gift from our wide selection of kitchen wares that they would love to give or receive this year if budget weren’t an issue. Some went for useful items that help make everyday cooking and baking easier and more fun, while others went all out and chose their ultimate fantasy gifts. Read below to see what they said!